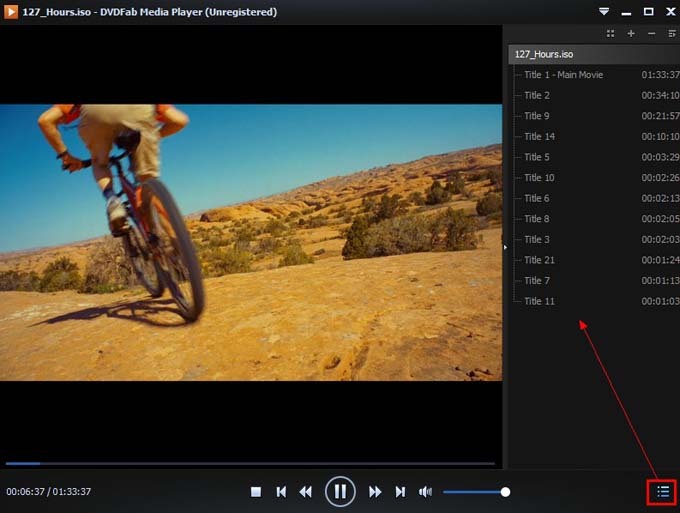 DVDFab Media Player 2 is a professional DVD disc player which can play any DVD discs with superior audiovisual effect. It’s easy to use and fast. Next is a simple glimpse of this DVD disc player. Follow me to have a look. 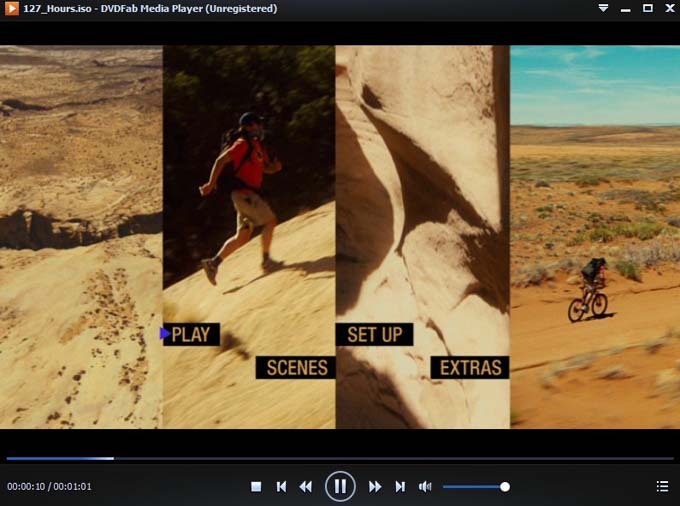 Start up DVDFab Media Player 2. 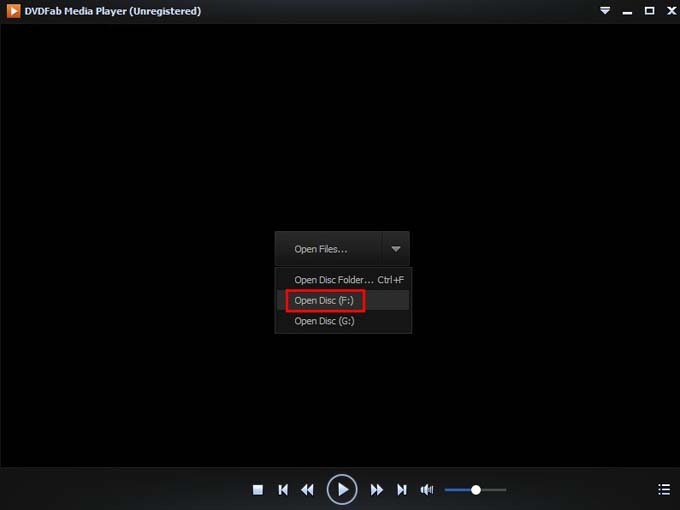 After inserting DVD disc into optical drive, just click the arrow button in the center of the main interface of the player, to bring about the following pop-up, then go to click Open Disc to open the disc in the corresponding drive. The movie will be opened in no time. Now just navigate on the DVD menu to go to view the movie. If you want to choose a specific movie title to watch, just go to Playlist to select, where all movie titles are listed.